Each tortoise for sale and baby tortoises for sale from Tortoise Town comes with a full 7-day Health Guarantee. In order to receive this guarantee, we simply request that you review the care sheet that comes with your tortoise(s) that you purchase. 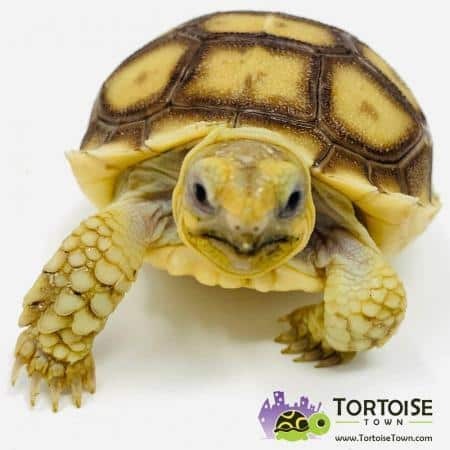 If your new tortoise does pass away within 7 days, we will replace it, once the following information is provided: Proof of correct habitat with photos (photos of the habitat, the heating element, UV light, proper substrate and food/water access. If any tortoise or turtle that we sell does pass away within the 7-day window, we will replace the animal for free, minus shipping. You will responsible for the cost of shipping ONLY if a replacement tortoise or turtle is sent. Keep in mind we rarely EVER have this happen, but it is important to verify proper care when replacing the animal. We ship Monday thru Thursday via UPS or FedEx Overnight and your shipment will require a signature at time of delivery and normally will arrive before noon. A tracking # will also be emailed the evening of shipment from UPS or FedEx to the email you supplied when completing your purchase.